Toledo Roof Repair, a local company servicing all of Toledo and surrounding area, offers state-of-the-art commercial roof repair services and insurance restoration services, there is no need to go anywhere else. Toledo Snow Control is a subsidiary of the Diversified Group. We provide a number of unique services that are perfect for any business. 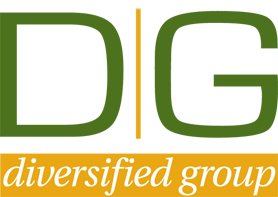 View our full website and learn more about the Diversified Group, LLC. Toledo Basement Repair is a leading foundation repair company in Northwest Ohio & Southeast Michigan. In addition, we assist customers to identify water problems in commercial and residential properties. Diversified Group LLC offers unbeatable service and unique, high-quality solutions to their contracting needs. From residential & commercial basement waterproofing and foundation repair to remodeling, and more, count on us for a wide range of services. Our commercial exterior services include windows, siding, chimney repair, gutters, and more. You can also have us provide you with paving, concrete stamping, roofing, and staining services. For your additional commercial needs, we offer full-service maintenance and snow removal services. We’re considered by many to be the best choice for commercial services because of our commitment to quality. From commercial roofing installation and repairs to hardscapes, and more, our team can handle your companies exterior needs from top to bottom. Serving the Toledo metro area as well as Northwest Ohio and Southeast Michigan, our reputation for excellence is well known. Our company is the go-to supplier of safe rooms and tornado shelters throughout the area. Improve your family’s safety with the help of our licensed, insured, bonded team. Hiring a locally owned and operated company, you can get quality work done and can offer you a truly DIVERSE range of services. Our name says it all – diversified proofs team. Improve your home by hiring us to provide you with custom additions! Make space for your growing family’s needs with our help. We have over 15 years of experience to ensure your satisfaction. Get a hold of us today for a FREE estimate. Our founder is Kevin Oberhouse, a civil engineer as well as an architectural and remodeling expert. Kevin has a bachelor’s degree in civil engineering from Youngstown State University, as well as an MBA from Akron University. He’s a certified remodeling contractor and architectural contractor with over 15 years of construction experience. More Than Just a Company! The Diversified Group combines the best technologies. We specialize in providing high quality solutions at a great price. Our professionals will not only install your systems quickly and correctly the first time, but they will also go over every detail with you so you feel comfortable and confident with your choice. At The Diversified Group, customer satisfaction is our number one priority. All projects are overseen by the company owner. The company’s principal activities are to produce and provide a wide variety of services. Our customers include general contractors, home builders and home owners. Our focus extends beyond the price to the quality of service, consistency and reduction of overall in-place cost. As the leading company in Northwest Ohio we won’t settle for anything less than superb. Our goal at Diversified is to grow a company dedicated to providing its customers the best in quality services at competitive prices. Our full-service company is licensed, insured, and bonded. Diversified Group LLC is a member of the National Waterproofing Association and is licensed in Toledo as well as the surrounding areas. We’re proud to be members of the Better Business Bureau.